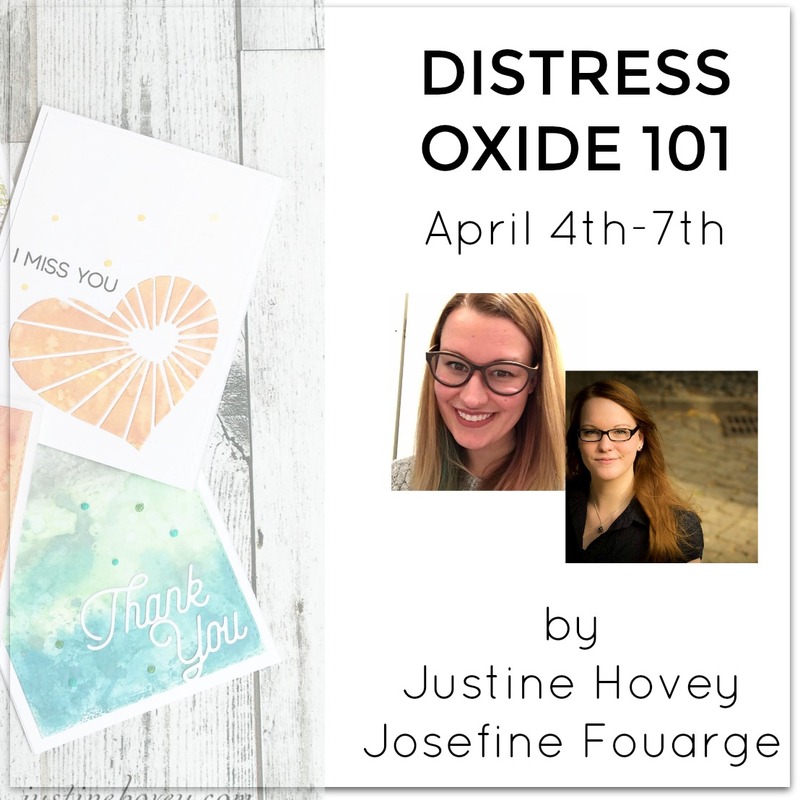 Justine's Cardmaking: Distress Oxide Event Day 1! Distress Oxide Event Day 1! Strawberry Jude Stamps has something for everyone - whether you are a a cardmaker or a planner, there are many things that will appeal to all sorts of paper crafters. Hi Justine....Love your card it is so Beautiful and super sweet. Great tutorial how to use these awesome inks. Outstanding Tutorial!! Thanks so much for the chance to win these Oxide inks...how exciting. YOU SO ROCK!! Beautiful card! The white really pops out! Masking is tricky but you nailed it! I've never heard of Strawberry Jude Stamps before, but will definately check out the stamps as those squirrels are so cute. I Love seeinh the new distress oxide inks. Can't wait to try them. Thanks for sharing. I have never heard of this stamp company before! Thanks for sharing!! Love your card, gorgeous! The oxide inks look like so much fun! Adorable and I love the background. I have not heard of Strawberry Jude Stamps! Beautiful card, these oxide inks look so fun! This stamp company is new to me as well, thanks for the info! Thanks for all you do for us crafters. Cute card! I love the look of the Distress oxide Inks. I love watching all your videos! I have not heard of Strawberry Jude Stamps! Would love to see more of them! Great card! Love the ink blending! 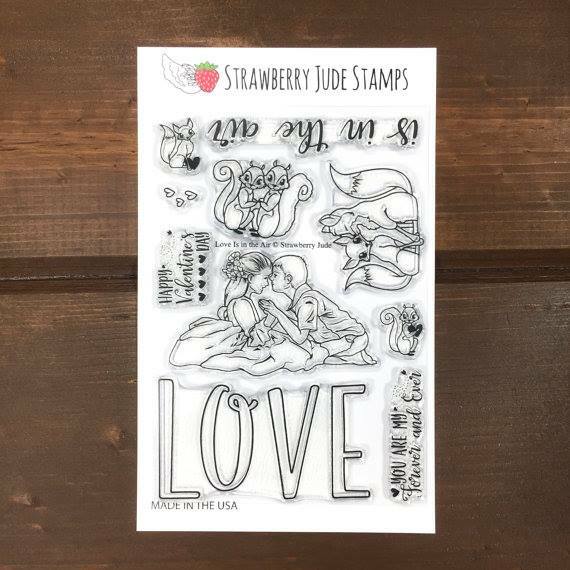 I've never heard of Strawberry Jude Stamps before, I think I'm going to need to spend some time looking over their shop. Cute stamps. I love the card you made, might just have to invest in distress oxides. Love your scene - I never seem to be able to create one in my mind, let alone on paper! Beautiful colors, too! I have not. That company is new to me. Adorable, I love the white love sentiment and of coarse those cute squirrels. Masking is probably my favorite technique, it's magical taking the masking paper off and watching the scene unfold. Your cards are always gorgeous, we're our own worst critics. Always enjoy watching your videos, thanks for sharing, inspiring and a chance to win such an amazing prize. You do have a lot going on today! I have heard of Strawberry Jude Stamps before... I have been wanting their awesome pumpkin set ever since I first spotted it! And I'm really excited to see what you will be showing us with the new oxide inks! Congratulations on this huge milestone. I love your videos. Cute card Justine! Would really like to try this technique with the distress oxide ink. the Distress Oxide look like an easier way to blend, I have always struggled with not leaving little circles...! thanks for the video! I love your videos!! I am learning a lot, keep them coming! Thank you for mentioning a new stamp company, the more the merrier! I just love this card! I agree with the you, the starkness of the white love against the beautiful background is just stunning! i like your teaching style. Good for new stampers like myself. Thanks! I think you convinced me to look into the oxide inks more. I love the blending you where able to do so easily! Thanks Justine. You make masking and coloring so easy. I now know the difference between oxide inks and regular distress inks. Your ability to explain and demonstrate technique allow me to try new things. Thanks again. I have not heard of Strawberry Jude Stamps. They look so cute and I will definitely check that out. I've never heard of Strawberry Jude Stamps. Love your videos! Super cute card! Those squirrels are adorable! Thanks for introducing me to this company :) I don't have any of the distress oxides yet, but I would love to try them! No, I have never heard of Strawberry Jude stamps until I saw them in action in your video! Love your card. Such a sweet stamp set. Thank you for sharing the comparison I currently have the distress cubes and love using them although they are time consuming. the oxides will someday be in my collection but I am working on my COPIC collection first! Thank you for sharing! I love the card and the squirrels are so so cute. I love them peeking out from the letters. Love the card and can't wait to get my hands on these amazing oxides. Thank you so much ch for the giveaway. I personally have not heard of this stamp company yet but glad to have found them. I have not heard of Strawberry Jude Stamps before but am excited to look into them! Keep up the great work Justine! What a cute, striking card! I can't wait to get my oxide inks and try them out! A beautiful card! I'm looking forward to seeing all the videos using these new inks. Would love to win a set as they are at the top of my wish list. Cute card. Nice colour combo. I love to mask, too, Justine. It's great fun unveiling all that work! Those Distress Oxide Inks look fantastic...so creamy and smooth! Thanks for sharing! I have not heard about the stamps you mentioned. You card is so cute! Love this loving pop of white in the colourful background ! Oh my the inks look like they blend like butter - wow! I've never heard of Strawberry Jude stamps and plan to check them out. Great video. I appreciate the chance to win. Thank you. Always enjoy your videos....and what a wonderfully generous giveaway....WOW! Those stamps are so cute , and I'm dying to try the distress oxides!! Love the card!! Thankyou for chance to win, I would love to try the new oxide inks, they look like they blend really easy, TFS. This is the first time I have heard of Strawberry Jude stamps. The squirels are super cute. I loved your video, I cant wait to try the oxide inks. Thank you for the opportunity to try to win the inks. I definitely will be watching your videos, very informative. Your cards are always so beautiful! I haven't heard of Strawberry Jude stamps before. I will be sure to check them out! I for some of the inks but am out of town and haven't had time to play with them yet. SUch a cute card!! Fantastic card. I had not heard of Strawbeery Jude Stamps but I can't eat to check them out. Gorgeous, as usual! I am loving everything I see done with these new inks. I have not heard of these stamps before, but I am heading over now for a look. I've never heard of them before but I like what I see. Very cute images. Never heard of these stamps but they are super cute. Love. The masking with the oxide inks. Thanks for sharing. Adorable squirrel card! Thanks for the info on distress oxide inks. I haven't heard of Strawberrry Jude stamps before. Such a lovely ink background and nice card. Great video! Thanks for the chance to win!!! Love your inspiration and your generosity. I have not heard of those stamps before but straight after typing this comment I will be checking them out. I can't wait to see the other videos on the oxide inks. I very curious about them. Very interesting. Your videos are wonderful and I appreciate you sharing your talents and inspiration. Plus alerting me to new products I just "have" to have! Can't wait to see what else you do with these inks, I am on the fence about buying more ink pads! Great card and ideas on building the scene. Ahhh, so cute! Love how you have them peeking around the letters too! I'm so wanting those distress inks, just can't afford them so far...do love what I've seen and heard about them though, so hopefully one day I can! Really cute card and love the background color. I have never heard of Strawberry Jude - is this a new company? Like the card and am becoming more interested in Distress Oxides every day, even though I thought I was not when they were first introduced. I have not heard of Strawberry Jude before! Great tutorial! Strawberry Jude is new to me--interesting name! The oxide inks do seem to blend beautifully and easily. Love the squirrels peaking from behind the sentiment letters! This stamp company is new to me, however their stamps are darling! Your card is adorable! I just love these stamps. I haven't heard of Strawberry Jude Stamps before I saw your video with a stampset from this company. The stamp design is very cute. Love the way Distress oxides seem to blend and react to water. Great invention. Strawberry Jude Stamps is new to me. I checked out their website and couldn't believe all of the gorgeous stamps. I especially like the religious ones cause they can be harder to find. Thanks for the inspiration and the chance to win! I just got 2 of the 3 colors I ordered and the 3rd is on its way. Can't wait to try them out. Thanks! What a great video, Thank you! Love it Justine! I've heard of Strawberry Jude; I won their layering pumpkins a while back. Fabulous stamp quality. I've been so happy to discover your blog and youtube channel. I'm a new cardmaker and what inspiration you've been! Especially ironing out all those puzzles we have about stamping materials. Not to mention your gorgeous creations. Thanks so much! I always love your videos. I saw Tim Holtz demonstrate the Oxide inks on a video from CHA, and I was really excited on how they reacted with water. A whole new look in ink blending. Thank you for showing even more ways. Very cute card by the way. So lovely and cute cards. Love the card and these inks, have not heard of three stamps before. Hi adorable and am always fascinated by your work..love watching your videos...though recently started following you...but truly inspired and looking forward to more beautiful cards from you!!! I've never heard of Strawberry Jude Stamps before but they're really cute!!! Another amazing brand to add on my wishlist!!! Love the techniques you used in this video! Love the distress inks and so far loving the oxides. I can't wait to try oxide inks! Strawberry Jude Stamps are new to me; just watched your amazing video and am heading over to visit them! Thanks for the 'introduction'! This card is adorable! Thanks for sharing. I look forward to your videos every time they come on. Your cards are always so beautiful. Thank u so much for sharing with us. I know the time and sacrifice it takes!!! By the way, I have never heard of Strawbery Jude Stamps before but I love the ones u have worked with. I'm looking forward to hearing more from them!!! Thank u for introducing new products to us. It helps to see these products used. I love learning new techniques, so was thrilled to come across your videos! Really want to get some of the Distress Oxide ink pads!!! I have heard of Strawbery Jude Stamps but I don't have any. Love the card. Great card!! I've never heard of strawberry Jude stamp but I'll definitely be on the look out for more stamps from them. Thank you for sharing. I look forward to watching more videos. I just love this card! The oxide inks are wonderful! I haven't heard of these stamps before, but glad I know about them now! Totally loved your video. Never heard of strawberry Jude stamps though but so wanna try it with distress oxides now. Thanks for the giveaway. I have never heard of the Strawberry Jude stamps but will be looking them up. The squirrels are so adorable. I have heard of Strawberry Jude Stamps, but do not own any of their products. Super cute card BTW! Strawberry Jude Stamps is a brand new company to me. 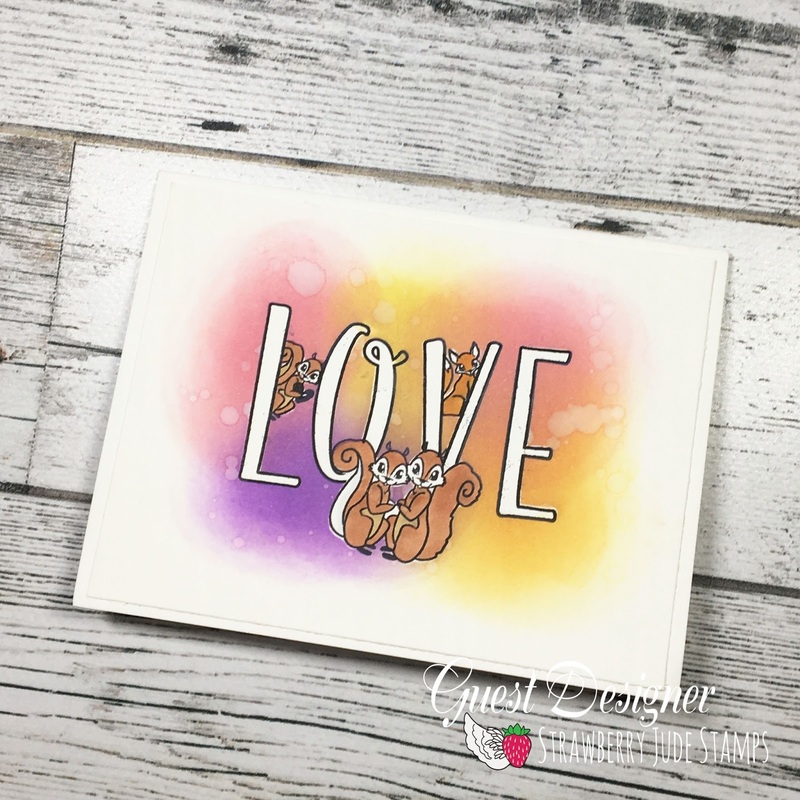 I absolutely love the cute squirrel image along with the beautiful colors the Distress Oxide inks created. I have heard of Strawberry Jude Stamps but do not own any yet.....I am hoping to get some in the near future! I love the masking technique! I have never heard of Strawberry Jude Stamps. Thanks for introducing me to a new company. So pretty! 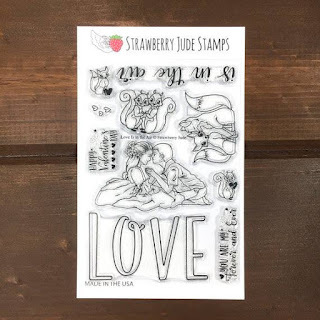 I have not heard of Strawberry Jude Stamps before but definitely will v0be checking them out! Never hward of these stamps before. Thanks for the introduction. I love strawberry Jude stamps! I never heard of these stamps before . No, I have not heard of those stamps. Fantastic card Justine! I have heard of Strawberry Jude stamps but never visited their store before but I'll be checking them out now for sure! Thanks for the great tips! Love all the cards! What a cute card. I like how you blended these beautiful inks. These new Oxide inks look so dreamy to play with. It would be fun to win a set. Good luck to,everyone who has entered this fabulous giveaway. Thank you, Justine, for all the wonderful tutorials you have shared with us. Adorable card! Love these squirrels so cute with the Love! I've heard of Strawberry Jude but definitely need to check them out some more. Thanks for sharing. LOVING the new Distress Oxide inks. Thanks for sharing your techniques with us! Beautiful card! Thank you so much for this generous give-away! love your videos and would love to get my hands on these new inks! I haven't heard of Strawberry Jude stamps before but I am going to check them out now! Thank you for a great video tutorial, I am loving how well the distress oxide inks seem to blend. I have never heard of them, but will be checking them out from now on. Love your card. Ive never heard of them. Such a cute card! The squirrels are adorable! No, I've never heard f them. No, I have not heard of Strawberry Jude Stamps until today. Thanks for the introduction and the cute card. Strawberry Jude: bookmarked! 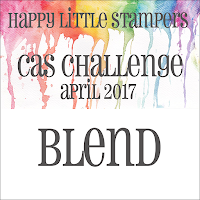 Thank you for your lovely example and for the chance to win these awesome inks. I have never heard of this company but will check them out. Cute card. I have only heard of them from your blog but not before. I will check them out. They are really cute cards. I'd never heard of Strawberry Jude Stamps before, but I'll definitely be looking out for them now. This is such a cute card and I love how "easy" it looked to blend, that's not my strong point! I had not heard of Strawberry Jude Stamps before, but your card is so cute that I have to say that I like them already! I love your videos! Such great inspiration! Thanks for the chance to win! Darling card. Love Love Love the Oxides! No I have never heard of these stamps before. I have not heard of this company but this stamp set is adorable! I cannot wait to try these new inks. Hi Justine! That's an adorable card. Can't say that I've ever heard of Strawberry Jude Stamps before this, but I'll check them out after seeing that lovely stamp set. I had not heard of Strawberry Jude Stamps, so thank you for introducing them to me! I've not heard of Strawberry Jude stamps before! Cute name & will check them out! Thanks for this! I have never heard of Strawberry Jude stamps before...I will have to check them out! No! I haven't heard of Strawberry 🍓 Jude stamps until now, I am headed to their site after I am done here though! Thanks for the introduction! I haven't heard of this stamp company...thanks for the introduction! I haven't heard of Strawberry Jude Stamps before. I'm going to go check them out. Thanks. I never heard of Strawberry Jude stamps until I saw them in your video! Love your card. This card is so cute, and the Distress Oxide seems very easy to blend. Can't wait to own some in the future! Thank you for sharing! These inks do look amazing. I can see why you like using them so much! I think your card is super cute. Beautiful card!! I have not heard of this company before, but this is a cute stamp set. Adorable card, cute idea having the squirrels peeking out behind the letters. Really sweet card! I didn't know that brand before! 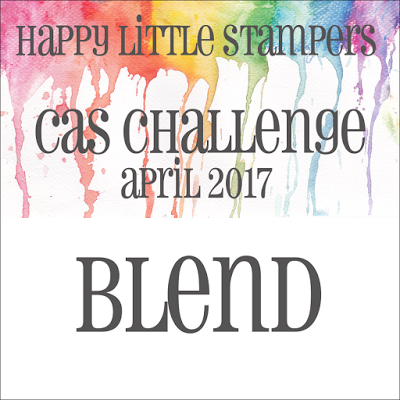 Thank you for showcasing different stamp companies! I love seeing the different styles and would have never known about them! The card is simply adorable! Thank you for such an awesome give away! I saw you were selling all your distress inks. You must really love the oxide inks. I can't imagine getting rid of my distress inks. LOVE this card! Can't wait to get my hands o these inks! That's so cute! I actually hadn't heard of the Strawberry Jude stamps before this...but will be checking them out now!